People understand, I think, that however much Americans might wish to leave the world alone, the world will not leave America alone. Great wealth and great success generate great envy and great hatred. And America's high ideals, if clutched jealously to America's chest, while those abroad who believe in them are hunted down and slaughtered without help, will whither and die. Idealism, like terrorism, has - can have - no borders. 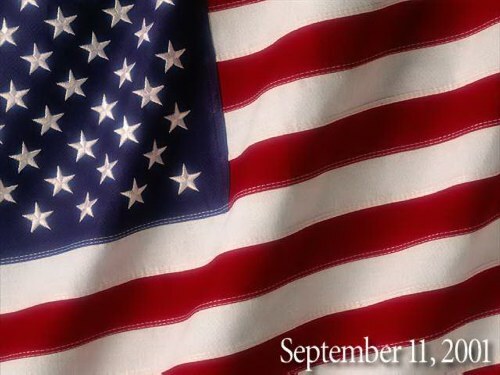 The September 11 Archive, commissioned by the Library of Congress, preserves news accounts, Web sites, images and other information about the terrorist attacks and their immediate aftermath. Still in progress, it reportedly containes over five terabytes of data already. The Daily Telegraph has gathered its stories about the war into a convenient day-by-day archive. Watch, compiled by Swedish journalist Marten Barck, is a collection of annotated links to news stories and commentary about the war, focusing on terrorism as an attack on the open society. Highly recommended. Jottings, quotations and other notes on important, outrageous or bizarre events, intended more to clarify my own thoughts (or occasionally vent them) that to convince anybody else. Hunt Watch is a special section devoted to analyzing the Wall Street Journal columns of leftist scribe Al Hunt. I didn't keep it up as well as I should have in 2003 but am resolved to do better in 2004. Day-by-day comments (which is what "ephemerides" means, after all) from September 2001 through June 2004. More recent material is on Stromat Blog. "It's a Gray, Gray World". As life expectancy increases, will men forget how to live? "Surfin' Their Lives Away". Is the Internet really the Great Hope for educating the next generation? "Legitimacy and the Democrats". Even in the midst of war, some important Democrats treat George W. Bush as a usurper. What does that bode for our country's long-term prospects? "The Only Two Ways to Fix Social Security". This piece addresses the Clinton Administration's 1999 proposals, but the discussion of the nature of Social Security's long-term problems may still be of interest. "The Crusades: Right and Wrong". Reflections on a millennium-old war that has gotten back into the headlines. "The Victims of George W. Bush". Fiction, sort of. The closest that I ever came to true political activism was as an undergraduate at Yale, where inter alia I was a founder (and first chairman) of the Yale Political Union's Tory Party. To my continuing astonishment, the Tories remain in existence, still devoted to conservative ideals and rational debate, over thirty-five years later and hold an annual banquet at Mory's. A fine Tory tradition is singing (in whatever key comes to hand) airs of traditional, patriotic or frivolous import. A few samples are posted here ("Tory Songs By Sundry Hands"). Another former Tory chairman, Bill Smith, has posted photographs from the organization's exciting early days, recording the defense of the American flag by a band of Tories during the May 1970 anti-war riots in New Haven.